Nikasi is the Dadex brand of unplasticised Polyvinyl Chloride (u-PVC). Nikasi is the perfect soil, waste and vent system geared to offer complete solutions to a cross section of customers. Nikasi building pipe system is designed to carry the solids present in both foul and surface water effluents with minimum risk of blockade. 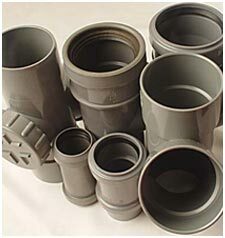 Pipes and fittings in 40mm, 50mm, 75mm, 110mm, 160mm & 200mm in standard lengths of 3 & 4 meters.